There are many things that impressed me about the Rocky Mountains over the last four days – the smell of pine trees, the wildlife roaming at every turn, the hiking trails. But one of the most majestic things about Colorado to me is the cloud formation. It’s almost like the clouds have to show up the mountains to get noticed, so they create big, puffy rolls that stretch across the sky for miles. 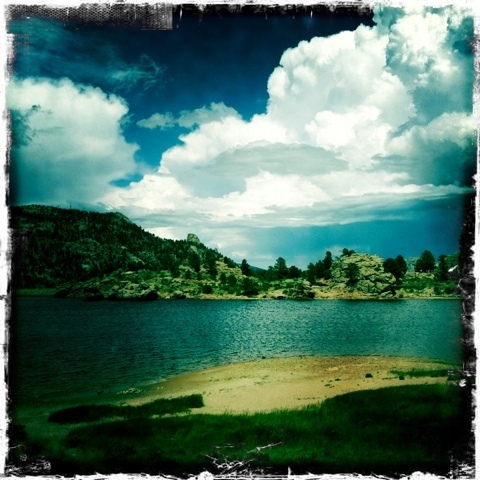 This entry was posted in Photography and tagged Colorado, Rocky Mountains. Bookmark the permalink.